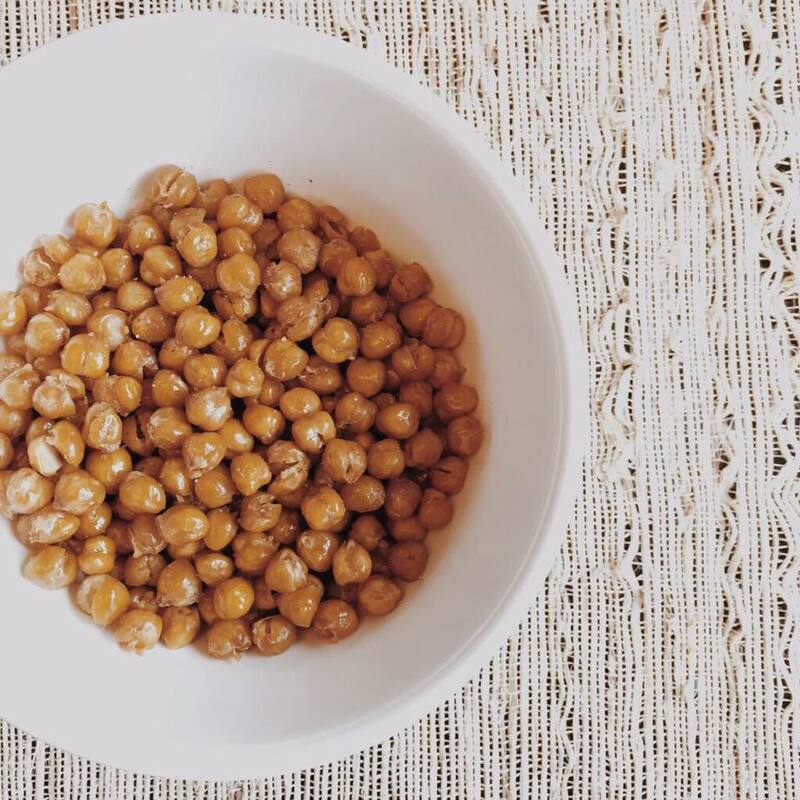 In a bowl, mix the chickpeas with the olive oil to coat them. Add ground sea salt evenly on top. Bake for ~1 hour, mixing/rotating chickpeas around every 15 minutes. They are done when they become brown/crunchy. You can add more ground sea salt if needed and stick to the salt flavour! OR feel free to spice them up with cayenne pepper, chili powder, popcorn seasonings, cinnamon/coconut sugar (to make a sweet version)…. ETC! This sounds delicious! I’ll definitely have to try!